Being a realtor isn’t easy. Things are always competitive in real estate regardless of certain conditions, but considering the time we’re in right now and the downturn we’re seeing in the housing market, it’s even tougher to be in the business of selling homes. For a select few individuals though who are willing to think outside the box and try something different, there are solutions available that can help you out in your business efforts. Real Estate 2 is a completely revamped version of the Real Estate theme by Templatic that offers up some great functionality that is perfect for agents in any market to take hold of to use to their advantage. One really cool feature about Real Estate 2 premium WordPress theme is that the homepage lists a slideshow of featured products that is dynamically generated by user submissions! Who says you can’t put your clients to work for you? 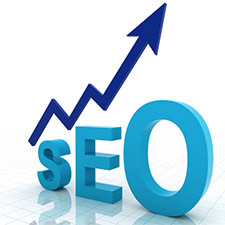 Additionally, any of your users browsing for a home can take advantage of the unique multi-category search, where multiple selections can be made to search for properties that are of interest to them. Additionally, there are plenty of widget-ready areas, which allow you to further customize the theme to suit your needs. There are widget-ready areas in the sidebar of the theme, in the footer, and in the middle of the page on your homepage. Furthermore, Real Estate allows you to make the best use of your time by letting you perform bulk uploads and exports of listings via a .csv file. No more long hours spent manually entering one listing at a time through the night. Heck, if you start using Real Estate 2 premium WordPress theme, you might finally get to take a weekend off every once in a while! 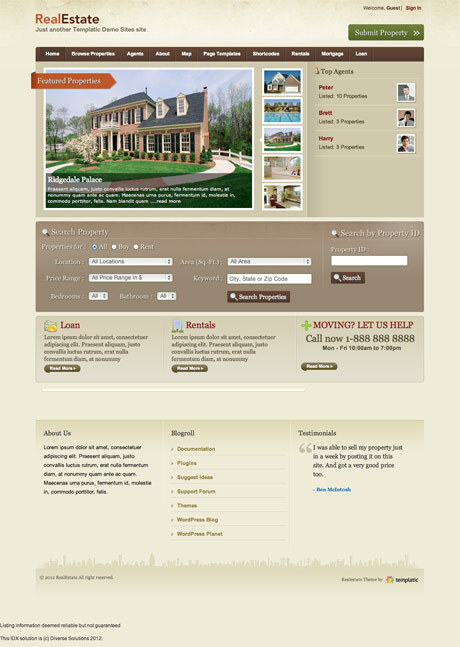 Real Estate 2 is just one great option out of Templatic’s suite of products that offer up original, unique functionality for WordPress users. Of course there are plenty of standard blog and website templates as well, but utilizing a theme like Real Estate 2 helps you to unlock a lot of great potential out of your install to have your site functioning as a pristine selling machine at all times. Check out the list of features below to read more about Real Estate 2 theme and then make sure to click the link at the end of the post to see the live demo!